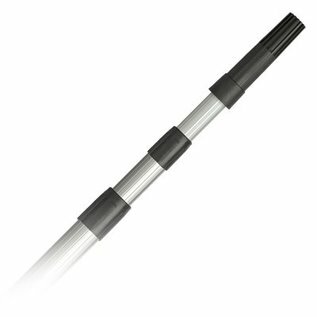 3 Stage Light Aluminium Extension Pole 4m - TEPE BOUWMATERIALEN B.V. Looking for a light aluminum telescopic handle with plastic attachment. Dekor aluminum handle suitable for brooms, tractors and paint rollers. Has a long life and available in various sizes and colors. diameter of stem 30 mm.